Marketing and Sales are often on opposing teams when they should be on the same team – in lock step on increasing revenue and driving new business. Although it can be challenging, aligning the marketing and sales teams is essential for meeting and exceeding pipeline and revenue goals. So how can you improve collaboration between these two teams and create alignment to drive results? Get the answers to the questions you always wanted to ask from the Experts! *Source: 2015 B2B Buyer Benchmark Study by SiriusDecisions. Jason Hekl is a seasoned b-to-b sales and marketing leader with more than 20 years of experience at companies large and small, specializing on the development and execution of demand creation strategies to accelerate growth. His responsibilities have spanned most facets of marketing, including strategy and planning, operations, demand generation, communications, product marketing and management, inbound marketing, analyst and media relations, channel marketing, partner management and lead development. Prior to joining SiriusDecisions, Jason was vice president of marketing at Coupa Software. Under his leadership, Coupa grew 100 percent year-over-year and went from a virtual unknown to recognition as an innovative challenger to industry leaders. Before joining Coupa, Jason served as vice president of corporate marketing at InQuira, and was responsible for all corporate marketing initiatives. During his tenure, revenues grew nearly 10-fold and the marketing organization won one of the original Markies (for Best Lead Scoring). 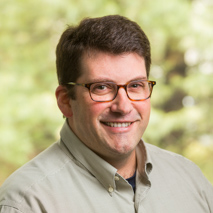 Jason holds an MBA from the Ross School of Business at the University of Michigan and a BA in international relations and economics from the University of Delaware. With more than 15 years’ marketing experience, Cheryl Hanley is passionate about developing B2B marketing strategies that result in the ultimate goal – revenue. Her expertise is in creating marketing and sales alignment, launching integrated programs, and driving demand through content, events, social, search, web, and lead nurture and scoring programs. As Senior Director of Demand Generation at PGi, a leading global provider of innovative collaboration solutions, she has led the way in building the company’s demand generation engine and infrastructure. In addition, she’s created messaging to enable the PGi sales organization to deliver the Challenger Sale methodology. Prior to PGi, Cheryl was responsible for new customer acquisition for Sage Software’s small business accounting unit. In addition to her corporate experience, she has worked at a number of agencies, including running her own agency for seven years serving the software, technology, financial services, and utility industries. Cheryl lives in the suburbs of Atlanta with her husband and they enjoy traveling, cooking, and biking. Complete this form to join this webcast.